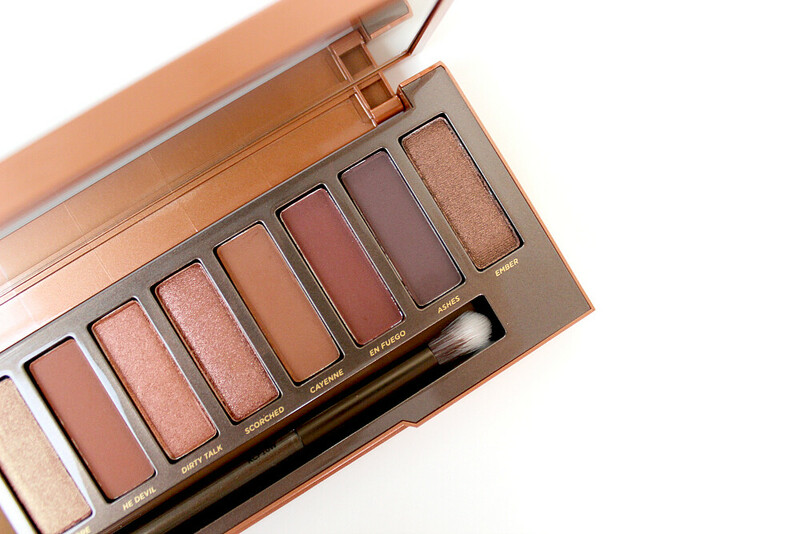 This summer’s hot-right-now make-up palette seems to be popping up all over the place as the new offering from Urban Decay which is quite fitting for the season with it’s name: Naked Heat. 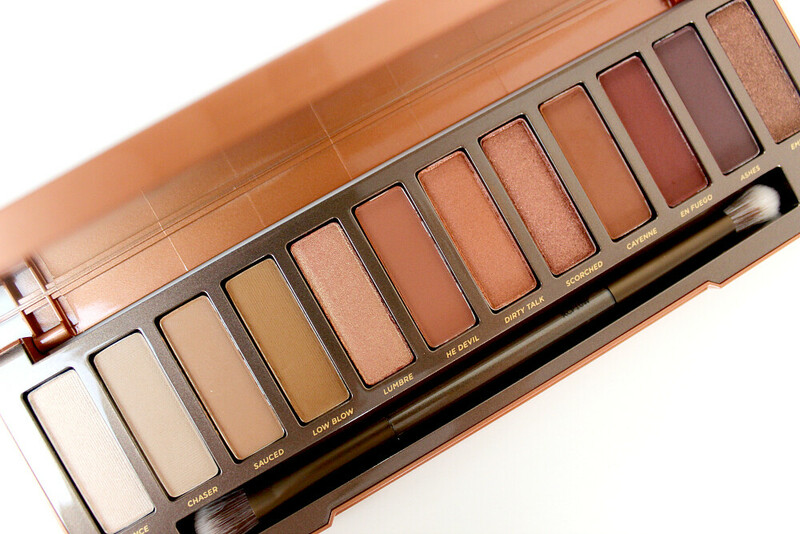 Adding the growing list of Naked eyeshadow palettes, Urban Decay was quick to push out this collection, even releasing a generous stock on pre-sale a few weeks ago. Any blogger worth their weight was drooling as soon as the news was released and the previews were dripping through Twitter, YouTube and Instagram. Personally, I was completely unprepared for a new release as I’d only just gotten my hands on the Naked 3 Palette as a pay day purchase so I’d completely written off buying this newbie until it’s official release date on the 27th of July. Well, my awesome husband took it upon himself to get buying as I was working and away from my phone and was repeatedly refreshing his shopping cart on a coach to London. Clueless me attached myself to my WhatsApp messages during my lunch and puzzled over a message from my beloved that simply said: can you feel the heat? 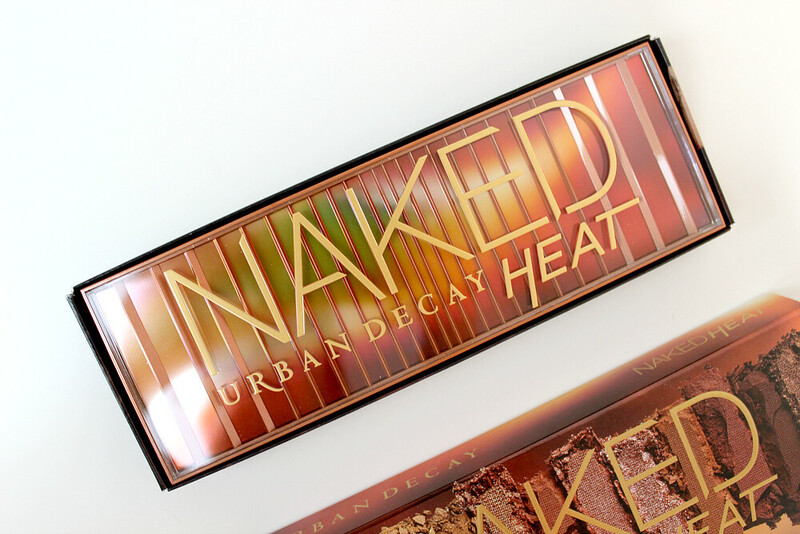 Confusion aside I was quickly told that I would have the Heat palette arriving shortly direct from the Urban Decay website on pre-sale… Omg. As soon as I took this palette out of it’s postage box I was impressed – it just feels so different to what I would be expecting from a design in the line with the other Naked releases. What surprised me was that it didn’t feel gaudy or even brassy as I expected from the photos I’d seen of it online. My second shock was it’s weight, this palette feels hefty in the hand and each time I handle it I don’t feel like it’s cheap or would get easily dented or battered within my make-up storage – which helps because these strongly pigmented shades need to be protected. The line-up in this palette is formed of oranges, burgundies and light browns with some matte and shimmery shades. 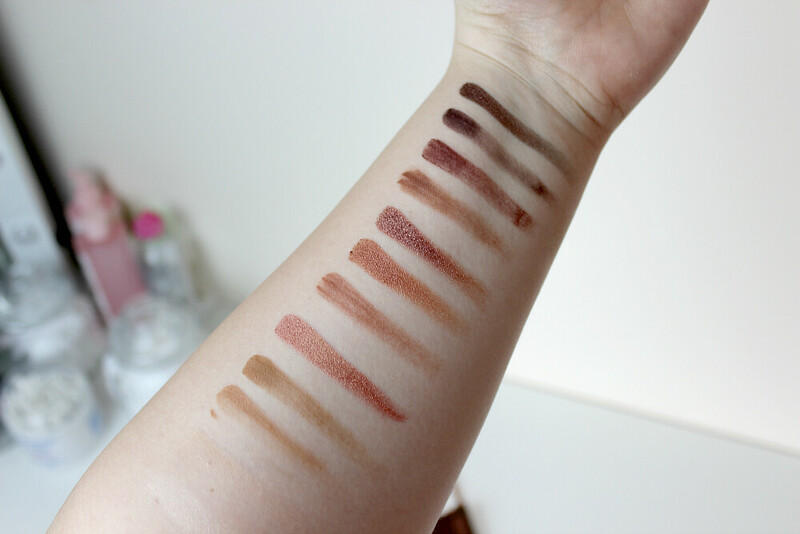 The stand-out shades for me are He Devil, Scorched and Cayenne because I use these the most. I would categorise this palette into the autumnal section of my make-up seasonal wardrobe – hence it being an autumn/winter headliner for Urban Decay – because it’s a range that feels leafy. Looking just like crispy leaves littering the pavements in October on dreary days the shimmery shades included snap this palette right back into summer to feel wearable in the warmer months regardless of when one would assume or plan on when to wear this eyelid look. I haven’t quite found my feet with how to blend each of the shades together to get the optimum look but I’m really enjoying using the different hues to finish or start a look. I’ve had to have used this palette more for everyday wear than I quite intended to but it goes to show how versatile and stunning the colours are within this range. This is the first day-to-night palette I’ve found that truly transforms a look with one or two colours without relying on a dreary black or grey in a long time. Not to the mention the pigment, oh the pigment. Each of the bricks of product’s pigment and power of colour are awesome despite the varying reviews I’d read of fallout and faded colouring on use. Oh no, I think some reviewers were perhaps a little over critical in their assessment of the Heat palette because even with the shimmery colours I’ve not witnessed any serious fallout when applied with a clean brush to the eyelid. 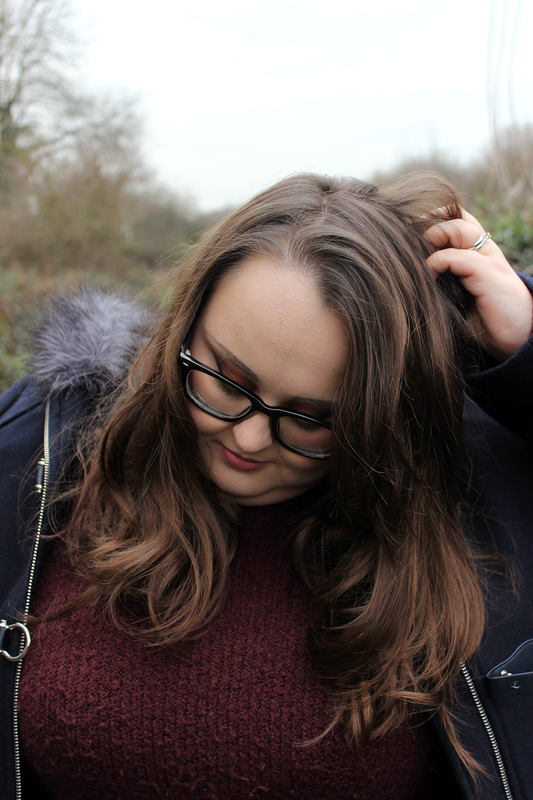 I’ve yet to venture enough into the darker colours in the palette but they were very strong when swatched and I was seriously gobsmacked on first use – I hardly had to apply pressure with my finger tip to get a decent pick-up. As you can see in my swatch line-up the brighter colours are not especially strong in comparison and they do take a little more building to get some real stay but with a good eyelid primer and some patience they work well enough against the strong orange-browns that this palette will be known for. To be completely honesty I’m loving using this palette and have really taken my time to mix and experiment with different types of looks and styles. I think a good two or three weeks of use of this palette it’s what’s needed to truly feel it’s worth because it’s a seriously worthwhile addition to any make-up lover’s collection and my husband has some mega kudos packed up for the privilege of surprising me. 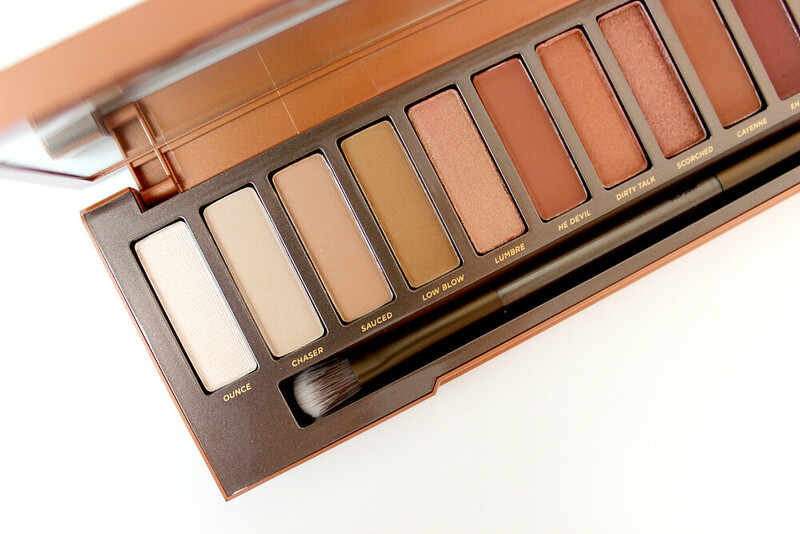 Have you had a chance to use the new Naked palette for yourself? What did you think of it? Let me know in the comments.